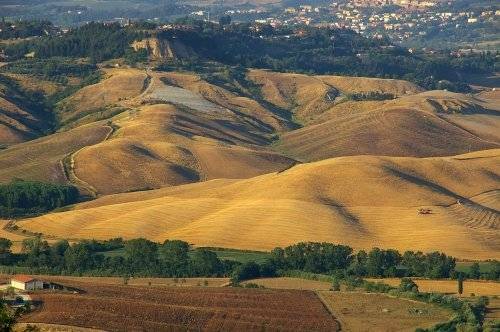 The “Parco Alta Valdera” (Alta Valdera Park) is a homogeneous territory in the south-east of the Province of Pisa, near Volterra and clote to the provinces of Florence and Siena, therefore strategically placed in a particular artistic context. Thermal baths (Cascina, Uliveto and Montecatini), and coastal towns are easily reachable from here. The landscape is varied and unspoiled: pleasant from plains to hills, rich in woods, chestnut woods and vegetation typical of Tuscany, which, with the changing seasons, characterize the landscape with suggestive effects. At the bottom of these hills it flows the meandering river Era. The towns of Capannoli Chianni Lajatico, Palaia, Peccioli, Terricciola, each with its own traditions and cultural peculiarities (enriched by some small hamlets, full of human arts), are important pieces of a mosaic that offers enjoyable opportunities to demanding visitors. There are several itineraries to follow: the artistic one in particular is characterized by the ancient Romanesque churches whose territory is rich, and works of art by contemporary national and foreign artists. In addition to this, you can enjoy to stay at the farms holiday and agritourismin the area, which complement the characteristic Tuscan cuisine with high quality wine and oil. In certain times of the year are guaranteed to the tourist the possibility to visit the winery of local Chianti (with tasting) DOGG and S. Torpè and the opportunity to attend the events related to the traditions and typical products of the land, which change with the flux of seasons. For those who love sports in contact with nature, there are different paths you can walk, run, ride by bike and horse, proceeding through the territory of Valdera. Lots of mansion houses enhance the countryside, home to noble families of Pisa and Florence, yet some of their properties. Moments of leisure and cultural studies are possible by visiting the prehistoric park, the Zoological Museum, the Archaeological Museum, the astronomical observatory, the museum of icons, the “mofeta”, museums of civilization and of rural work. 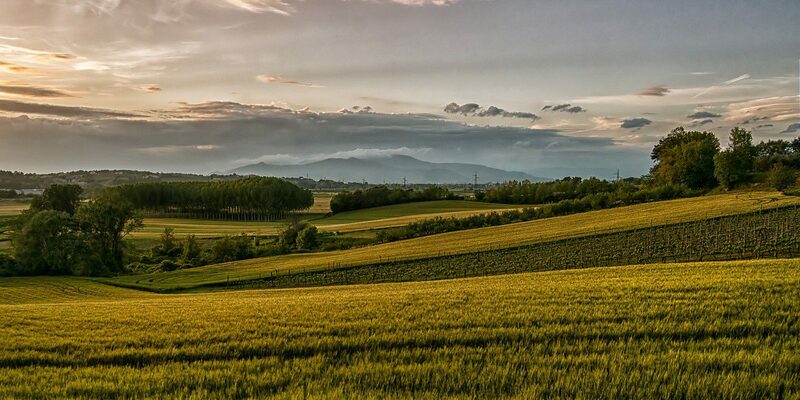 These are some of the characteristic aspects of the Parco Alta Valdera, in the context of a beautiful and serene landscape that ensures a memorable stay.